Home/Blog, Training/Social Listening – Its Importance and How it Works? 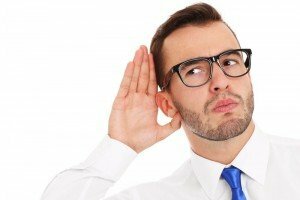 Have you heard of “Social Listening”? I found an article which discusses its importance and how it works. This article was written by Jomer Gregorio. There have been a lot of overwhelming changes on how people communicate and interact with each other online in recent years – thanks to Social Media. It practically revolutionized the Internet into something that is more personal and participatory. That’s why social networking is now the top online activity, overtaking email, 60% doing so through their tablets and smartphones, according to the latest Intelligence report from Business Insider. With this much subscriptions to social media, expect the massive amounts of information accumulating with all the interactions, discussions, social signals and other engagements social networks do within their favorite platforms. We’ve mentioned here in Digital Marketing Philippines that the key to online success is to generate these kinds of engagements with your targeted audiences. 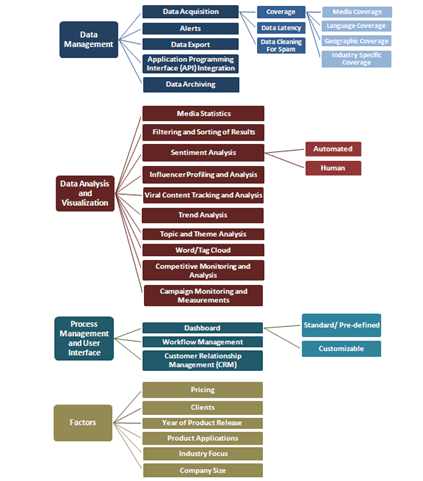 But how do you keep track of all these and differentiate what help your business grow? And when it comes to social media, the experts call it Social Listening. It can come in the form of a free online tool or a fully integrated and expensive software application that you can integrate with your existing digital marketing systems. Regardless of configuration, Social Listening is probably as important as Social Media Marketing itself, if not the heart and central core of your overall SMM experience. Engagement is two-way communication with one listening while the other is talking. The following discusses an overview of the listening part of Social Media Marketing to give you a clear understanding of how it works and how it can help boost your digital marketing campaign. Social Listening is called by a myriad other names depending on who’s talking. Some call it Social Media Monitoring, Social Media Intelligence, Social Media Analytics or Social Media Management among a host of other names. Social Listening in the most technical sense is basically utilizing tools for monitoring and tracking information instances online where your brand or business was cited or discussed. Contrary to what others might think, Social Listening is not only applicable to Social Media but to all kinds of online real estate where information about your brand may appear. These includes any website, blogs, forums or social networks where the tools used for Social Listening can freely crawl an index – just like a search engine but with some differences that will be discussed in greater detail later. The internal structures and mechanics involved with the tools used for social listening can be likened to the spiders and bots used by search engines that crawl web pages. These tools crawl the accessible contents of web pages continuously, in real time, or on certain time intervals depending on your goals and objectives. Social listening tools search these web pages to look for specific “mentions” of specific keywords or phrases – in this case a topic, product or brand – and will then summarize and report them all back to you in a form where you can get relevant insights that can help your business. These tools vary in features, coverage and functionality and can be useful to a particular business depending on their needs or according to what information they want the tool to get. Most of these tools are free and many offer premium packages for business use. Paid models can be as cheap as $10 a month, or as expensive as $50,000 depending on their complexity and function. It was mentioned earlier that social listening is just like Google search. In a technical sense they do but there are some very distinct differences. For one thing, a search query on Google will return thousands or even millions in results. Social listening tools make use of more specific query systems that can filter out irrelevant and spammy entries or mentions. This makes social listening results provide more relevant information based on the search terms you specified. Social listening tools crawls websites but will only access web pages and information that are all publicly available. Social sites like LinkedIn are very strict when it comes to information access and will not make profiles available to just anyone. In this manner, social listening is not really invading an online user’s privacy. It is just compiling all relevant information related to a brand or business that are already publicly available – and putting them all from a single repository where it can easily accessed and analyzed. Why Do You Need Social Listening? 1. Help understand the Market – With the insights Social Listening can help extract from social media chatter, you can gain a better understanding of the market such as prevalent needs for new products or service. 2. Help understand the Competition – Social Listening can provide good competitive analysis and monitoring system of your competitors, enabling you to have an overview of what they are doing. This will give you a clear advantage over your competitors such as releasing a product or service before others could and at a competitive price that customers are already willing to pay for. 3. Help understand the Customer – With Social Listening, you can be in a position of helping your customers by knowing and understanding what makes them happy and how you can make this happen with your products and services. 4. Help understand the Prospect – Social Media can be a powerful tool for generating leads and engaging with potential customers. Most of these prospects will not immediately convert into paying customers. They will need to gather more information and insights about your products or services, and social listening can help you understand what they need. 5. Help understand the Buyer – A particular prospect will give out signals that they are already trying and are ready to make a purchase. Businesses should be ready to respond when this is apparent otherwise they will lose out to the competitor. Social Listening can help you identify if someone is already ready to buy and would just require that added push to make them commit so. 6. Help provide good Customer Service – Getting a new customer is up to six times more costly than simply maintaining and retaining existing customers, so it is important that your business provide a good customer service and retention program and generate consistent repeat purchases. There are other benefits and advantages of using Social Listening for your business on top of these listed above. The point here is that businesses could really benefit a lot from using Social Listening, so it’s high time they begin using these tools now. Free tools are available that you can use for your social media marketing. However, there are specific functionalities and features that are not available on free tools but can be supplied by their premium versions or through a fully customized one. 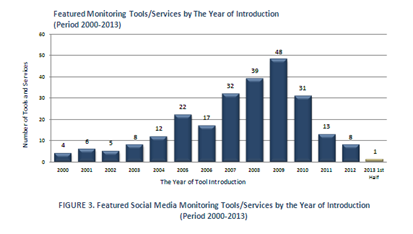 The chart below came from Ideya Ltd indicating the year of introduction of about 250 tools available during that time, 199 of which are paid versions. The number of tools available may have increased since then and new tools are emerging on a continuous basis, many of which offering new features that are not available from older systems. With this much tools available, it can be cumbersome to decide how you can decide which one you can use, and this will be discussed in a separate article from DMP. In the meantime, you can look at this summary from Smart Insights that will tell you factors that you should consider in the selection process. Social media is still relatively new and is continuously evolving, affecting many aspects of people’s lives. Among the users of social networks are your targeted audiences that can eventually convert into paid customers after considerable engagements and interactions that you can perform through social media. Social Listening provides the tools that you can help you get a better insight of what targeted audiences are thinking – so you can be in a better position to deliver what they need, when they need it.